Based in Vancouver BC, P+A Interiors provides a full complement of interior design services to the residential sector — including new construction and renovations to single-family homes, 2nd homes, vacation homes, laneway houses, condominiums, and multi-family projects. P+A Interiors’ purpose is three-fold, fostering: + Design excellence + Innovation + Health, wellness + sustainability Each project is a unique opportunity to create exceptional solutions suitable to the clients, end users, and site. The most satisfying solutions meet the programmatic requirements, but are also beautiful, layered with meaning, and rich with ideas that are expressed in volume, form, light, colour, and materials. P+A Interiors will celebrate 17 years of design excellence in November 2018. With a longstanding practice, the firm’s work has been featured in many design and lifestyle magazines. Janice Girard Design is a Vancouver based company specializing in beautifully elegant and distinctive homes, inside and out. For over fifteen years, I have been passionate about creating wonderfully livable homes, carefully considering site characteristics as well as the aesthetics and style preferences of my clients. Whether renovating an existing space or creating a new home, I will bring each project a hands-on approach, sensitivity to budget, and will share my artistic vision. These are the keys to my success as a designer. Maria DeCotiis, established Fina Designs as a result of her dedicated passion for design, with a focus on providing high-quality and refined interiors. With a formal education in interior design and fashion from BCIT and Blanche MacDonald, Maria is confident taking the lead on projects large or small. Her attention to detail and the big picture allow the client to rest assured that they are in capable hands and will achieve exceptional results. Inspired by her travels and constant sourcing for what is current yet enduring, Maria is thrilled to collaborate with clients to curate rooms that account for their personal taste, while contributing her expertise and keen eye for classic elegance. The belief that functionality and chic sophistication are not mutually exclusive has lead to the creation of comfortable and timeless spaces. 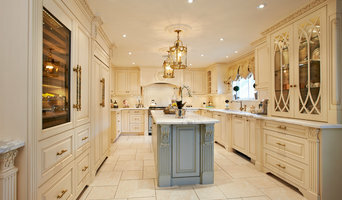 Intuitive Interior Design, Decorating and Home Staging built on trust and relationships. Melissa Hardwick Design is a residential, boutique service creating your indoor dreams from Concept Boards and Colour Consultations to Redesign and full service Renovation! My passion for architecture, design, and decor is where we bring your dreams to life! Every space tells a story, I would love to help tell yours! We specialize in fully custom interior design and provide a full service design package. We believe that design should be timeless but never stagnant. It should pierce the mundane, pushing boundaries to create innovative spaces that will continue to be enjoyed and inspire for many years to come. At Stephanie Hilton Design, our goal is to design bespoke, stylish interiors that reflect the lives and personality of those who live there. Stephanie's passion for Interior Design began as a child when she would regularly rearrange her mother's furniture when most kids were busy jumping on it. At an early age Stephanie discovered a love for architecture, beautiful spaces, and an inability to ignore a crooked picture frame. After graduating from Capilano University with a Diploma in Business Administration, Stephanie began her ten year career in business and accounting until she could no longer ignore her love of design. She left the corporate world to attend the Visual College of Art & Design of Vancouver where she earned top grades. Her financial background has aided her immensely in the design industry. Stephanie designs to help people achieve their dream home, while keeping within their budgets. Stephanie is passionate about everything design; from the conceptual & planning stage, furniture & material selection, plumbing, electrical & construction, to implementation and installation of the design, and she is not afraid to get her hands dirty on the job-site. At Stephanie Hilton Design, we believe that every step of the design process is equally important in achieving a balanced and successful design. Stephanie Hilton Design is located on the beautiful North Shore, BC. We service Vancouver, the Lower Mainland, and from Whistler to the Fraser Valley. We also provide e- design services. 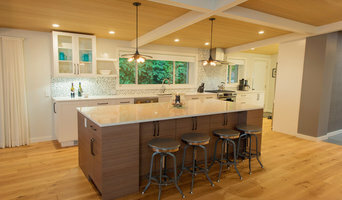 Since 1998 Klimek Interiors has been a trusted and reliable full-service design and decorating resource for the residents of North Vancouver, West Vancouver, and Vancouver, British Columbia. We are known for creating a whole home experience of harmonious and compelling design by integrating a range of materials, hues, and textures in unexpected ways. 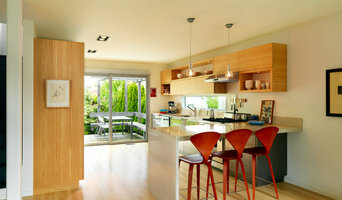 We have extensive experience in condominium renovations and are specialists in small space design. Portico Design Group is a full service interior design company based out of Vancouver, British Columbia. Our primary clients are residential and resort developers throughout North America. We focus on creating specifications unique to each project. Our strong knowledge of marketing is a valuable asset to any developer's consulting team. As a member of your team, we partner with you to design a look and theme that is consistent with your sales message. We believe that a successful project is achieved through a team environment. Fostering communication and cooperation at all levels helps to ensure that your project will meet or exceed its targeted projections. Mocoro Studio is an Interior Design firm that specializes in custom and multifamily residential design. We love interiors and the relationship between objects, space, people and all the combinations therein. At Mocoro Studio, we take great care designing our interiors and place equal importance on our relationships with clients, suppliers, trades and our partners in the industry. It takes a village and we enjoy working with people who see it that way too. We are excited for your new project and look forward to hearing from you. A great looking room should not cost you a fortune. In fact, getting the right design advice will likely save you time and money. We provide very affordable design solutions to fit your needs and budget. We offer space planning, furniture layouts, downsizing and staging services, mood board consultation (colour and style options), buying plans, shopping service, paint colour selection, project management (for smaller projects), organizational storage solutions and redesign services.